DAHLONEGA, Ga. – Something good might yet come from the hysteria caused by Lumpkin County School System’s failure to keep the public informed about a potential threat at Lumpkin County High School last month. At Monday’s Board of Education meeting — despite board member Jim McClure’s attempt to scapegoat the media — other board members began to question how information is disseminated to the public. First, it’s important to note that the threat — which was reported in the morning — turned out to be no threat at all. However, the first information the administration passed on to the public was not posted until late that evening on Facebook. By that time Facebook had blown up with rumors of what had taken place. Sheriff Stacey Jarrard’s phone had also blown up with parents wanting to know what was going on. It was a question he could not answer because the school administration did not inform him. Not only was that information posted many hours after the furor had erupted, it was factually incorrect. Sheriff Jarrard said he did not conduct an investigation until the next day. As board member Craig Poore correctly stated during Monday’s meeting, “There are a lot of people who are not on Facebook who are being told hearsay and that is where we had our problem.” Therefore, Facebook is probably not the best choice for spreading the word. Apparently a lot of folks do. Jarrard said concerned parents were calling him until about 2 a.m. But the point is, a robo call should have been issued immediately. 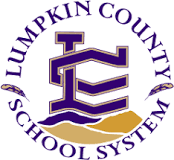 The Lumpkin County School System has just received a report that one Lumpkin County High School student overheard another student make a threat to harm the school. This has just now been brought to our attention so we cannot determine at this time if the report is credible. Because we take these reports seriously we are investigating and as soon as we have more information, we will keep everyone informed. Some board members were surprised to learn that the robo call system was being used to announce sports events, fundraisers and other special events. Rather than learn from the experience, however, McClure chose to blame the media, specifically Fetch Your News. On that, we are in complete agreement. Hopefully, school officials will try that next time. FYN didn’t even report on it till after the school system posted about the issue. They just don’t want to admit they where wrong. Blame someone else for their mistake. Its really dad. What’s next they are going to say FYN is “fake news” wow they are just proving that they are incompetent. A simple apology would have been nice but instead they try to blame social media and rumors and students I didn’t hear about the incident till the school posted something. They are the ones who cause mass hysteria. Emily, thank you for reading FYN. Most disheartening is the fact that the first information posted by the school system appeared to be intentionally misleading. It indicated that an investigation had been concluded and that to no threat had been detected. However, Sheriff Jarrard said he did not conduct an investigation until the next day. Lumpkin County citizens deserve to be told the truth.